Life Groups are St Mary’s house groups. Consisting of up to twelve people in each group, these meet regularly in various homes during term time, either during the day or in the evenings. Because each group is small, Life Groups are the ideal place to spend time learning to live the Gospel whilst caring and sharing life together. We currently have ten Life Groups and as the church community grows, are always ready for the challenge of creating new groups. 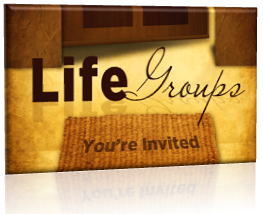 For more information about Life Groups and to join a group, please contact Timothy & Julie Robb using the Contact Us Form.